FRANKFURT -- The UK government may have offered illegal subsidies to General Motors to secure production of the Astra compact at the U.S. carmaker's Vauxhall plant in Ellesmere Port, German news agency DPA reported, citing Opel's labor chief. Last week, GM's European unit, Opel/Vauxhall, announced that production of the next-generation Astra would take place at plants in Ellesmere Port, England, and Gliwice, Poland, starting in 2015. The news was a blow to Opel/Vauxhall's factory in Ruesselsheim, Germany, where the Astra, the brand's second-best-selling model after the Corsa, currently is built alongside the Insignia mid-sized model. The report cited Opel labor boss Wolfgang Schaefer-Klug as saying there were indications that illegal promises made by the UK government may have played a crucial role in GM's decision to shift Astra production to the UK from Germany. "These [promises] contravene EU rules on subsidies, and appear to be tied to the decision for Ellesmere Port,'' he said, adding that the European Parliament had lodged an inquiry with the EU Commission on the matter. In response to the comments, a Vauxhall spokeswoman told Automotive News Europe: "A number of existing UK government mechanisms are in place to support the industry which any manufacturer can apply for when launching a new product,'' adding that the automaker had not applied for government support with respect to the next-generation Astra." GM's decision on Astra output has raised concerns for the carmaker's German plant in Bochum, which may close if production there is shifted to Ruesselsheim. 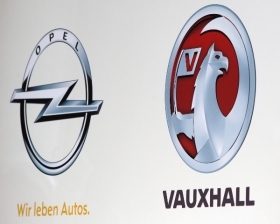 On Monday, Opel/Vauxhall CEO Karl Friedrich-Stracke told workers at a meeting in Bochum that he planned to stick with a labor agreement valid through 2014 and had not made any decision yet on what will happen after that. In 2010, the automaker closed a plant at Antwerp, Belgium, that also built the Astra. Stracke said he will present a plan for the carmaker's Europewide business to Opel's supervisory board on June 28. GM has been pressuring workers at each Opel site for concessions after the European business had an adjusted operating loss of $256 million in the first quarter compared with a $5 million profit a year earlier.